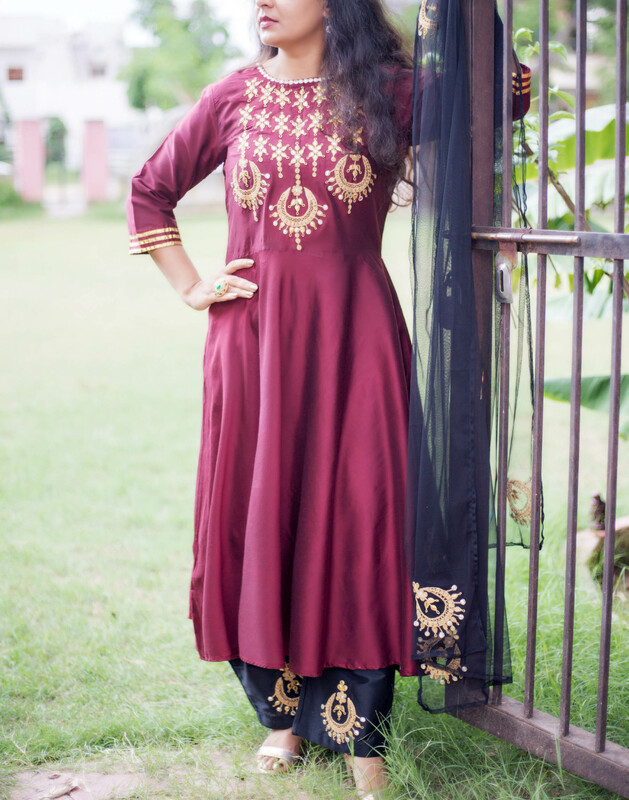 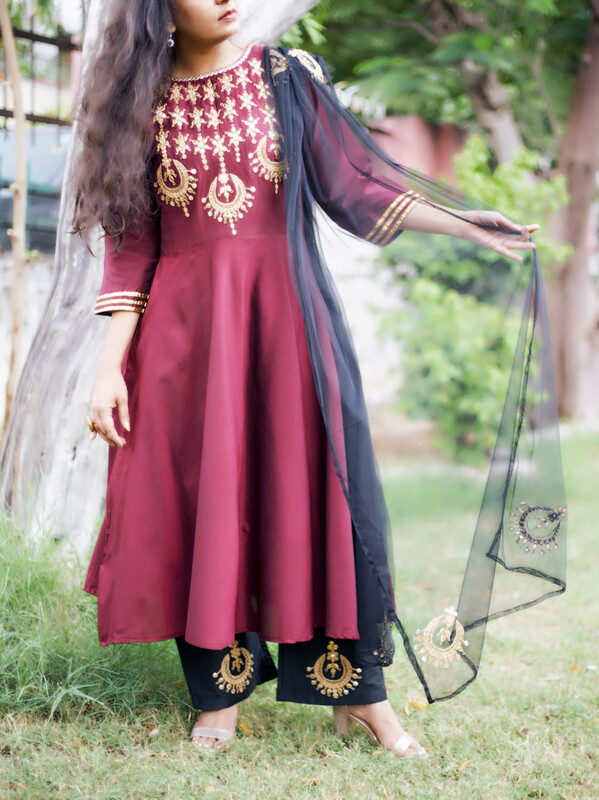 This gorgeous maroon flair kurta is perfect to be paired with gorgeous gold acessories for this festive season! 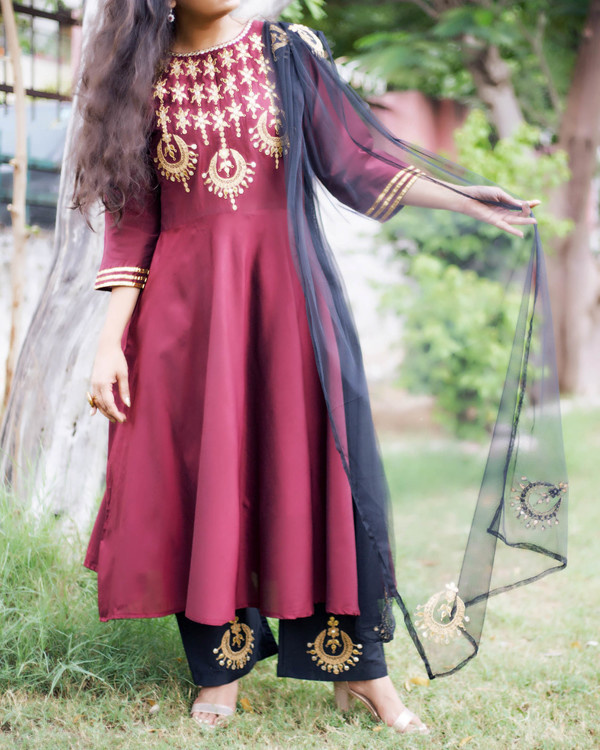 it comes with straight black palazzos with chandbela gota patti motif in gold and silver. 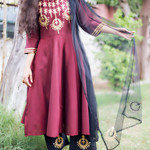 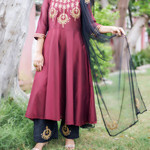 It is also paired with a black dupatta in soft net fabric.